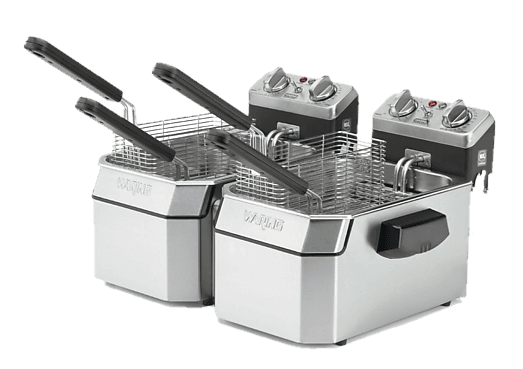 Most restaurants include a deep fryer among their restaurant equipment, but not all of them use the fast cooking it provides to its full potential. Besides the french fries served with the burger menu and the buffalo wing appetizers, many restaurants never use the fryer to create innovative and unique dishes for their customers. Fair food is one basic type of food that any restaurant could tweak to make their own. Make a funnel cake, but instead of serving it whole, cut it into strands to garnish a sweet dish. Fried macaroni and cheese is a popular item that could be easily customized and improved by using unique cheeses or adding spices to the mix. Similarly, giving a healthier twist to a deep-fried item can add to your menu as well. Fry cauliflower in a light breading, such as panko bread crumbs, and serve it with a tangy sauce. Slice plantains thin and use them as the chips for a plantain and goat cheese nacho plate. The real asset a deep fryer can give is adding a crunch to favorite food items, so consider deep frying tortillas with cinnamon or creating your own chips as a side dish.